The rock formations and rock-cut Settlements of the Phrygian Valley are likened to the ones in Cappadocia, Nevşehir. Most people associate the Phrygians with the Trojan War where they fought side by side with the Trojans, as recorded in Homer's "Iliad," and by their legendary King Midas, who is also a popular figure in Greek mythology and known as the king with the "golden touch." The region has also been the focus of conspiracy theorists. Some believe that the valley's cart tracks, which are deeper than any other ancient road, were made by aliens. Moreover, since the area is relatively tourist free, the valley is fun to explore and it provides a unique opportunity to "bond" with the ancients. As you walk down the valley, you might notice the resemblance between its rock formations and Cappadocia's fairy chimneys. 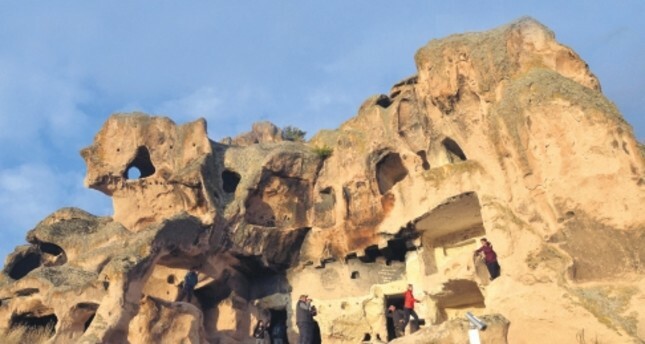 Two of the most important Phrygian monuments are the rock tombs "Aslantaş" (Lion Stone) and "Yılantaş" (Snake Stone), located close to the city center of Afyon. The Midas Monument, also known as Yazılıkaya (Inscribed Rock), is the real jewel of the valley. Considered the Phrygians' masterpiece, the monument is covered with miscellaneous geometric designs and hieroglyphics. Archaeologists believe that the Phrygians held religious ceremonies at this site.